Servicing Arizona with accident reconstruction and forensic engineering services. How fast were they going? Were they wearing a seatbelt? Was there a mechanical component failure? Who ran the red light? How long did it take each party to reach impact? 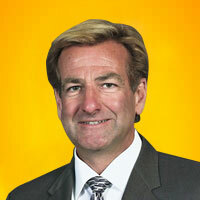 Tim Leggett is a registered professional engineer in AZ, and a court certified expert. He has proven himself many times in court, having worked full time in the crash reconstruction field since 1985. 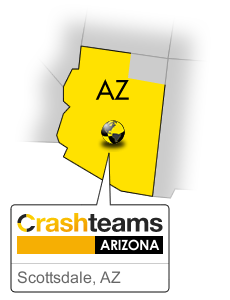 Crashteams ARIZONA is headquartered in Scottsdale, AZ. providing immediate service when required. Please review the “Services” section of this site for more detailed information. Often clients are not aware of the many ways that we can be of help. This resource will give you some ideas. Or better yet, just call and speak with us. Crashteams ARIZONA provides accident reconstruction services from Scottsdale, AZ.